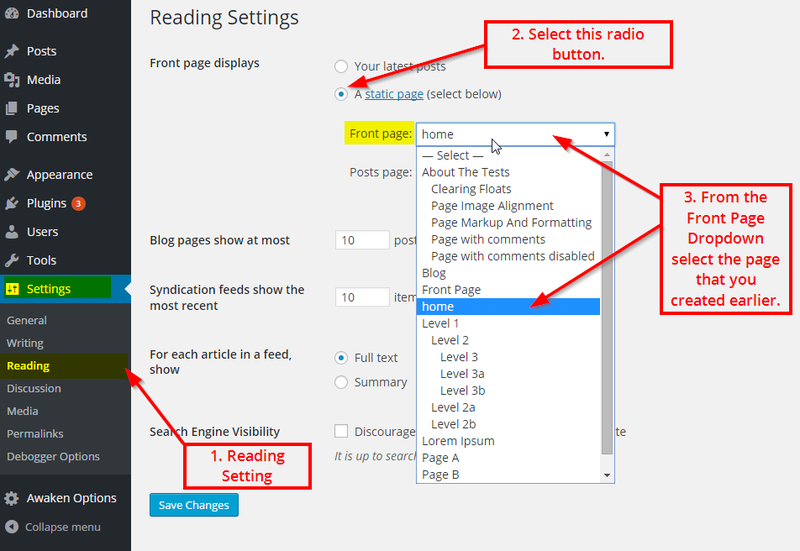 This is the documentation page of the HitMag Pro WordPress Theme. We will try to keep everything well documented. If you are not sure about any particular area of this please contact us. We give priority email support for our premium customers. Then please navigate to “Dashboard > Settings > HitMag Pro Theme Activation” to enter your API key and API email. After entering the details hit the “Save Changes” button. Note: This step is optional. This will reproduce the demo site in your own site with demo content. To import demo data please follow these steps. First install and activate this plugin. – One Click Demo Import. Then please go to Dashboard > Appearance > Import Demo Data. Click the “Import Demo Data” button. You will have to wait few minutes until it imports the demo data. There are 8 widgets bundled with HitMag Pro. To see widgets and widget areas please navigate to Dashboard > Apperance > Widgets. Magazine Posts (Style 1) – Can be displayed in Magazine Homepage widget area, Main Sidebar and Footer Sidebars. Magazine Posts (Style 2) – Can be displayed in Magazine Homepage widget area, Main Sidebar and Footer Sidebars. 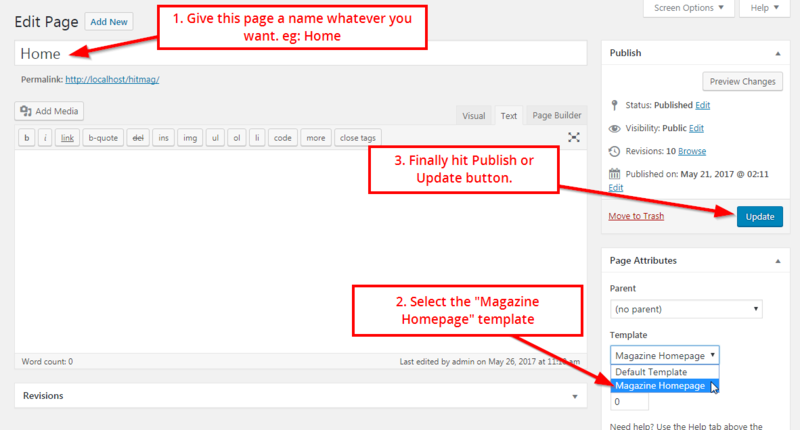 Magazine Posts (Style 3) – Can be displayed in Magazine Homepage widget area, Main Sidebar and Footer Sidebars. Magazine Posts ( Image grid ) – Can be displayed in Magazine Homepage widget area. Magazine Posts ( List Posts ) – Can be displayed in Magazine Homepage widget area. Sidebar Posts – Can be displayed in Main Sidebar and Footer Sidebars. Popular posts, Comments, Tags widget. – Can be displayed in Main Sidebar and Footer Sidebars. Please go to Dashboard > Appearance > Widgets and add widgets to the relevant widget areas and arrange them in any order you want. It is very easy to add a social media menu to your site top bar with HitMag Pro theme. 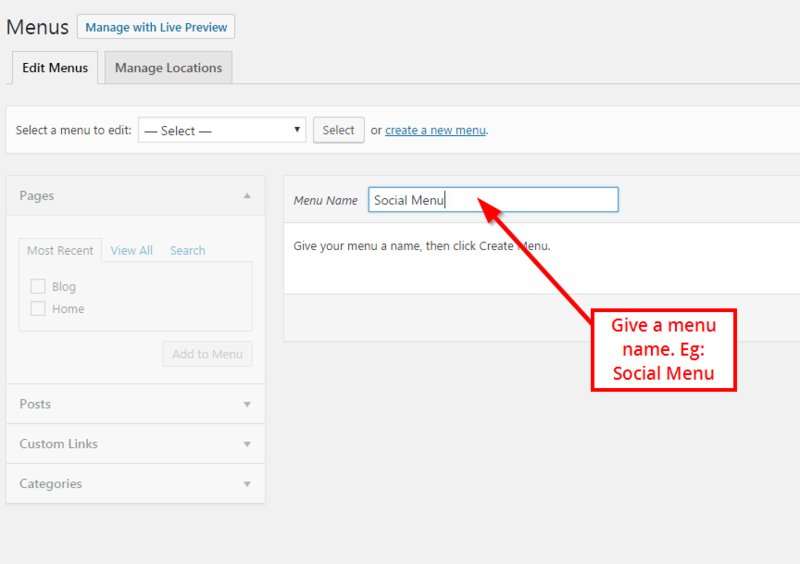 Adding a social media menu is same as adding other menus as described above. 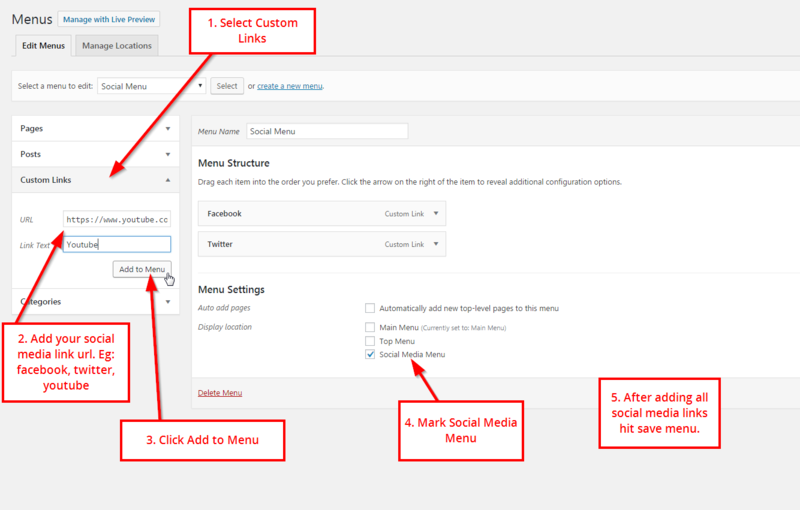 Use custom links to add social media links ( eg: https://facebook.com/themezhut ) and select the menu location as “Social Media Menu”. HitMag Pro supports almost all major plugins. Theme has “built in” support for following plugins. Post Views Counter – This plugin can be used to display the posts views count with the post meta data. Font Awesome 4 Menus – Can be used to display font awesome icons in the main navigation. One Click Demo Import. – Can be used to setup your site exactly like the demo site. If you have any problem please contact us. We give priority email support for premium customers.